A school isn't worth the bricks it's built with if you don't have good teachers working inside. We believe that, and so do our generous supporters. Thanks to attendees at our annual Soiree, in December 2017 we hosted our third teacher training. 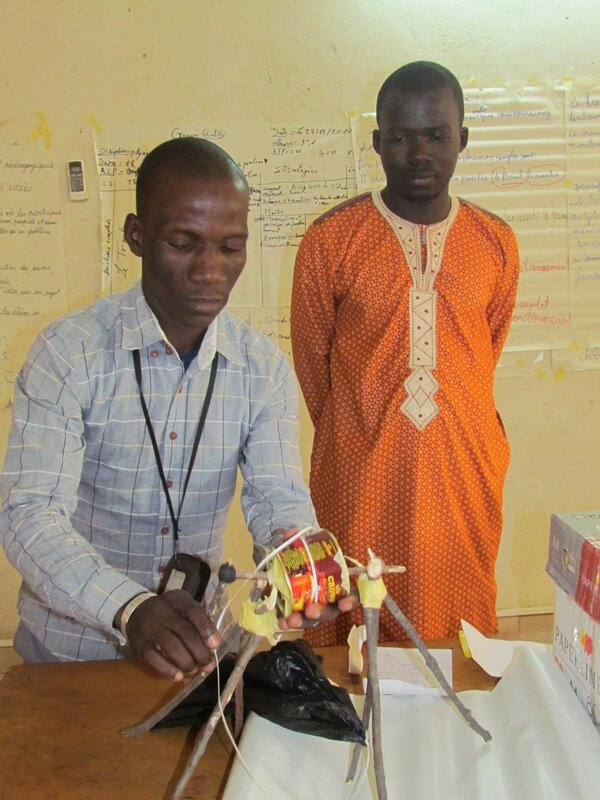 Teachers in Mali are often provided with very little education and then sent to remote villages to sink or swim with classrooms that can be filled with 100 + students. 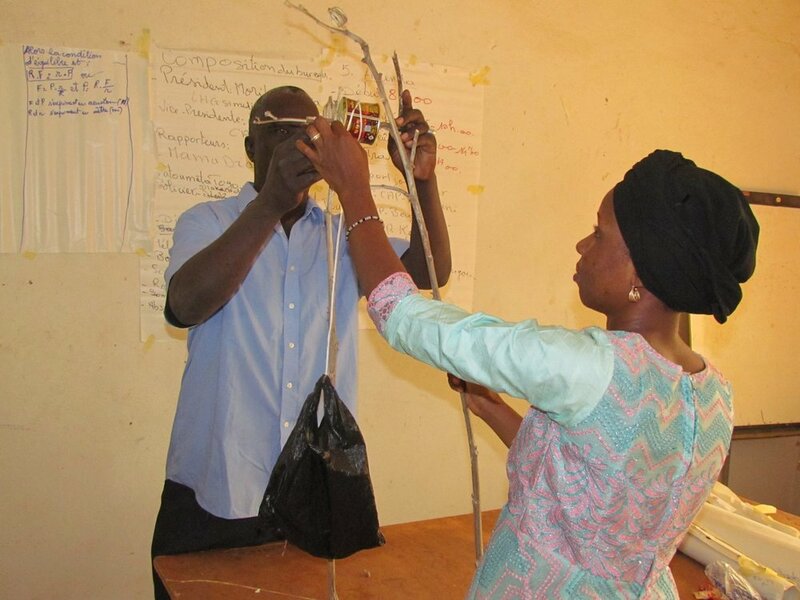 Among several strategies Mali Rising is applying to help our teachers is providing professional training. For many of our teachers, this is the first training they've received since they began teaching -- and they really embrace the chance to improve their skills! December's training hosted several teachers from each of our 19 middle schools, for a total of 39 attendees. They spent 5 days gathered together, learning from each other and professional teacher trainers from Mali. Special techniques for teaching specific subjects, such as science, reading and writing, and English. The training focused on real-world skills the teachers could take back to the village and apply in the classroom. For example, the group discussed a list of techniques for delivering lessons to large classes and created a chart describing the situations when different techniques would be most successful. Teachers took that chart home to use in their work -- with class sizes often at 100 or more students, this will be a valuable tool. In a second example, for two of the five days the teachers broke into sub-groups based on the subjects they teach. Each group then honed in on creative and engaging (active!) ideas for delivering required lessons. Each teacher presented a subject lesson to the group, and then the group and trainers provided constructive feedback. For example, one science teacher charged with delivering a lesson about how a winch works admitted he had never really understood the science and equations behind the tool until the trainers showed him how to make a mock winch using a coffee can! Now the teachers can take these hands-on lessons back to their students. In addition to spending a full day as a group discussing how to better reach and educate girls, we hosted a special discussion group with the 9 principals in attendance. The principals shared their challenges and some ideas for solutions...some of which Mali Rising will partner with the schools to implement! Thanks to our teacher training sponsors, 39 teachers are now back in the classroom with new skills, ideas, and energy to help their students. We will do classroom evaluations of the teachers in a few months to measure how much they really learned and implemented in their classrooms. Stay tuned! Learn more about our Teacher Project. Newer PostDid You Deliver 40 Babies During Your Internship? Sophie Did.